There’s nothing quite like opening your email to learn that you’ve been recognized as one of the best service providers in the city! 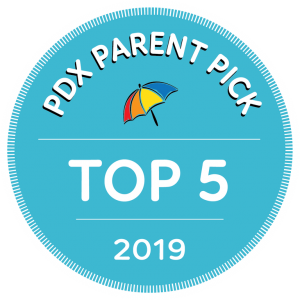 We’re humbled and honored to be recognized as one of Portland’s top 5 physical, occupational, and speech therapists by PDX Parent Picks. This recognition is extra special because winners are chosen based on parent nominations and voting. We know that our clinic families place their trust in us and that means the world to us. Thank you to all who voted for us!